During winter, snow and ice transform the Iles-de-la-Madeleine into a beautiful lunar landscape. Then, the end of February signals the annual return of those true nomads of frozen seas. Hundreds of thousands of harp seals come give birth to their pups on the ice floes around the Islands. For 2 or 3 weeks, we can observe the adult seals and their pups in their natural habitat; a spectacular site of snow and ice animated by the presence of this immense herd on a territory that extends as far as the eyes can see. The hotel Château Madelinot offers different packages which include one helicopter tour to the seals. 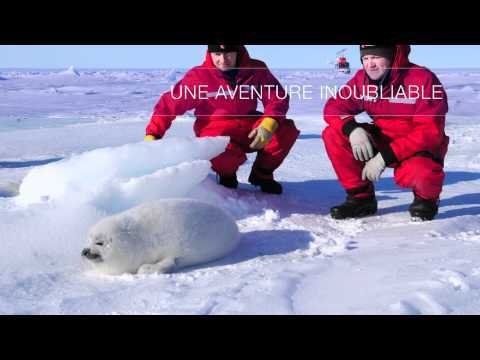 This allows the tourists, nature lovers, to go on the ice floes and experience a close contact with the seals. 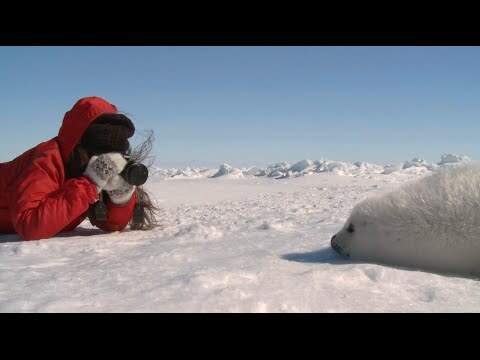 Sure of their success, the harp seal pups will take a pose and let themselves be photographed in the perfect media creatures they have become these last few years. New in 2018: guaranteed departure for the helicopter excursion (*some conditions apply). Auberge Madeli is the business travel experience you deserve : 61 modern rooms, free continental breakfast, business area, meeting spaces. Located nearby restaurants, coffee shops, services and ... easy access to a walking trail along the sea shore (perfect for your morning runs!). Many packages available. Located in the heart of the archipelago, our Auberge Madeli is your perfect place to stay to indulge a great discovery of the Magdalen Islands. Located directly on the Îles de la Madeleine, the team of Club Voyages Les Îles is the team dedicated to advise you and book your holidays on the Madelinot archipelago. Depending on your needs, we will be able to suggest you a package to meet your expectations, to inform you about the different transportation options to access the Islands and to present different accommodation options. We are a team of passionate travelers but we clearly have a crush on the destination where we chose to live: the Îles de la Madeleine, and it will be a pleasure to make you discover! You need more trips? We will also be very happy to share our knowledge by helping you select your next destination. BOUTIQUE Visit us on site to discover our boutique with its suitcases, travel bags, backpacks, laptop bags and many other travel items. Dry cleaning and laundry service. Alterations.Laundromat and drying (self service). Open all the time.Sanitary supplies. Supplies for hygienic toilets and trailers.